SmartFix® full-arch restorations have changed the way we approach implant treatment. We can replace full arches of teeth and give you a new smile the same day as your implant surgery. All while minimizing treatment times and reducing costs. Depending on your needs, we can use a fixed solution or removable implant-supported dentures. 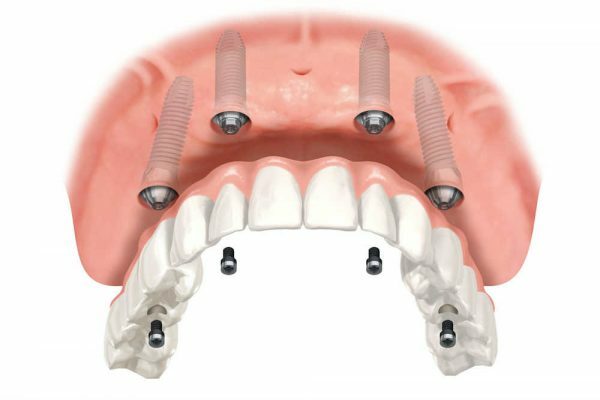 Your restoration will be securely held in place using a combination of four specially angled implants, so you can smile with confidence again. SmartFix® simplifies your treatment plan so you can spend less time waiting for your new teeth and more time enjoying your beautiful new smile. With proper care, dental implants can last a lifetime. Smile, eat, laugh, and enjoy life knowing tooth loss will no longer hold you back. Your smile plays an important role in your life, and if you feel self-conscious about tooth loss, you are not alone. We’ve seen the impact that missing teeth have on people and how much dental implants have truly changed their lives. We can’t wait for you to discover how it will change yours. Traditional dentures used to be the only option. Not anymore. Implant-supported dentures give you the freedom to live life on your own terms. They are anchored directly to your jaw and don’t use any adhesives or suction to stay in place. There’s no longer a need to live with tooth loss or clunky and uncomfortable alternatives. Give yourself the gift of a healthy, attractive smile with SmartFix® full-arch restorations. Technological innovation is at the core of every individualized treatment plan. 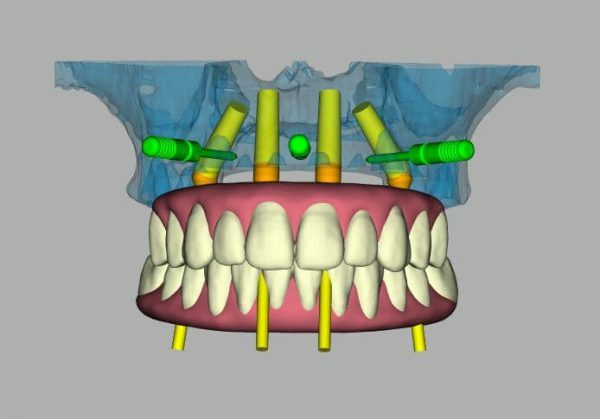 Using CBCT digital imaging, we create a 3D model of your jaw, gums, and teeth. This allows for a level of detail and precision never before possible. Using this digital roadmap, we deliver treatments that are comprehensive and personalized, with swift, easy recoveries. With her unique approach to treatment, Dr. Jockin has placed thousands of dental implants. Our patients’ success is our highest priority, which is why we have designed the entire implant process around your needs. Our in-house lab allows us to do everything under one roof. Receive the quality care you deserve without traveling from office to office. If you are missing teeth or are ready to replace your dentures, SmartFix® full-arch dental implants are an excellent treatment option. We are delighted to discuss your treatment goals and are confident we’ll find the dental implant solution that meets your unique needs. Getting a beautiful, new smile has never been easier. With SmartFix® same day restorations, you can walk out of our office with a dazzling new smile the same day as your implant surgery. Schedule a consultation, meet our team, and discover how easy the entire process truly is.